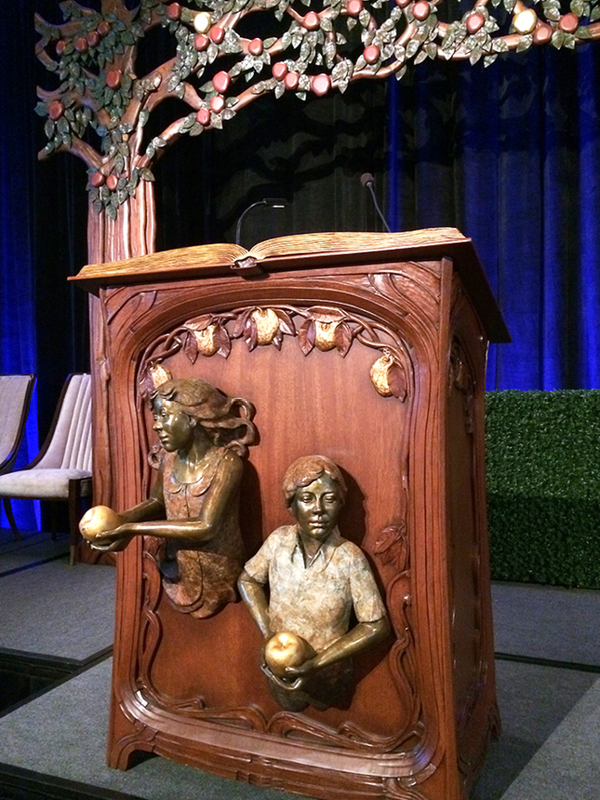 Our artisans created beautiful hand-carved art nouveau lecterns for the Champions for Learning’s Golden Apple teacher recognition awards ceremony. 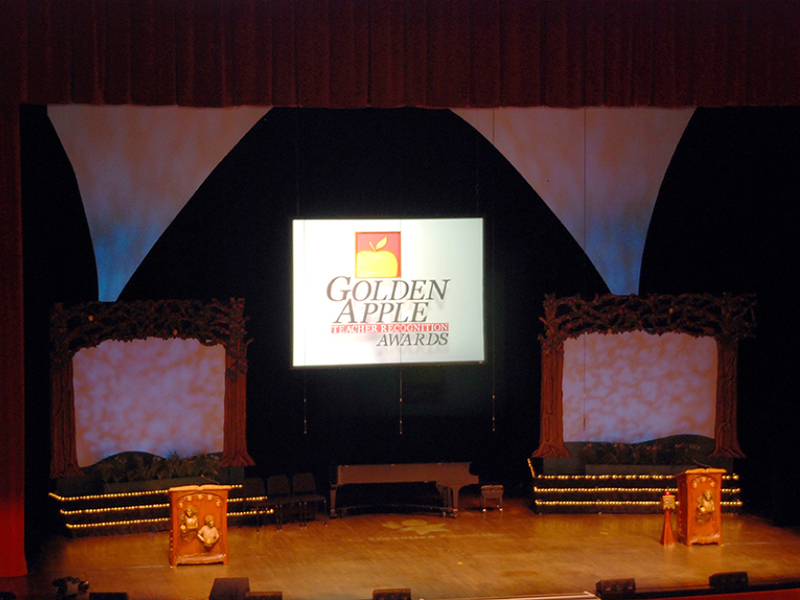 We expanded this donation to also include a stage set and pedestal for the event as well as Leave a Legacy recognition boards for their lobby. In addition to our involvement with the foundation, we also regularly open our doors to local elementary, middle and high school students. These students receive hands-on training or warehouse tours from Thomas Riley Artisans’ Guild master artisans. 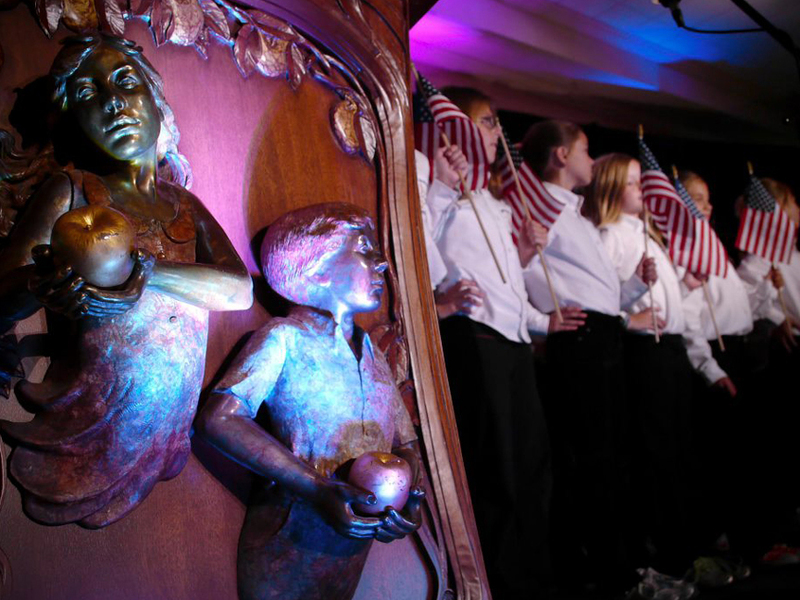 Our educational programs are designed to demonstrate the importance of hard work, respect, precision to detail, and passion for one’s craft. 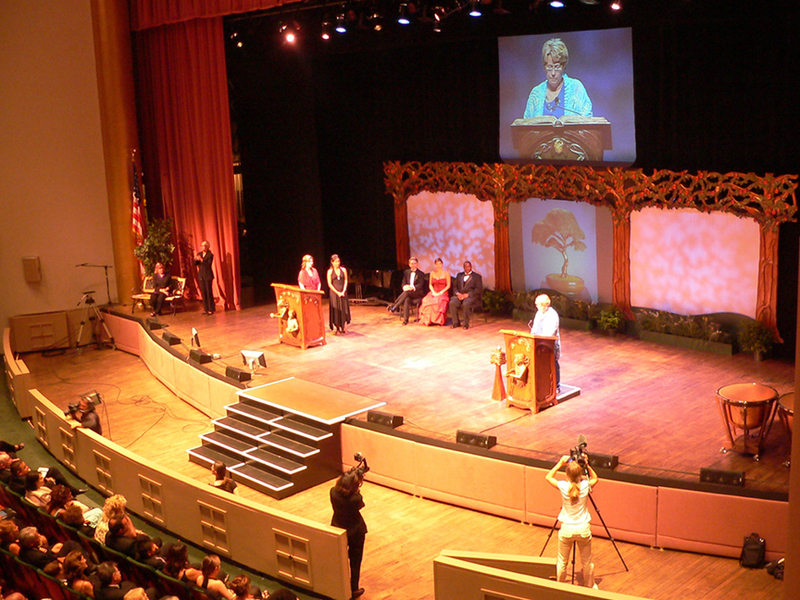 Such programs have made an overwhelmingly positive impact on students and on our staff, and we are humbled by the vast local and state recognition that we have received for our efforts.